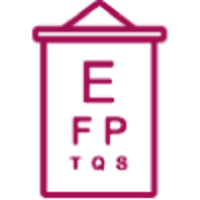 Moka Family Eye Care, PLLC has been improving family eye care by helping families see better and learn more about eye health. During your eye exam, the optometrist will assess your eyes for general eye health, eye diseases and other health factors that can be detected in your eyes. Whether is it your first time getting your eyes checked, your annual contact lenses examination and fitting, or you're worried about changes in your vision -- Moka Family Eye Care, PLLC is here to provide you with professional eye care. Moka Family Eye Care, PLLC accepts most insurance carries and discount plans. Come visit us for your annual eye exam - the eye doctor's office is located at 16395 Washington Street.